Loose Dentures? Your Rockledge, FL Dentist Can Help! If you’ve got dentures, you know how important getting a good fit is. Ill-fitting or loose dentures are stressful, uncomfortable and even embarrassing — but your dentists at Premiere Walk-In Dental want you to know it doesn’t have to be that way. 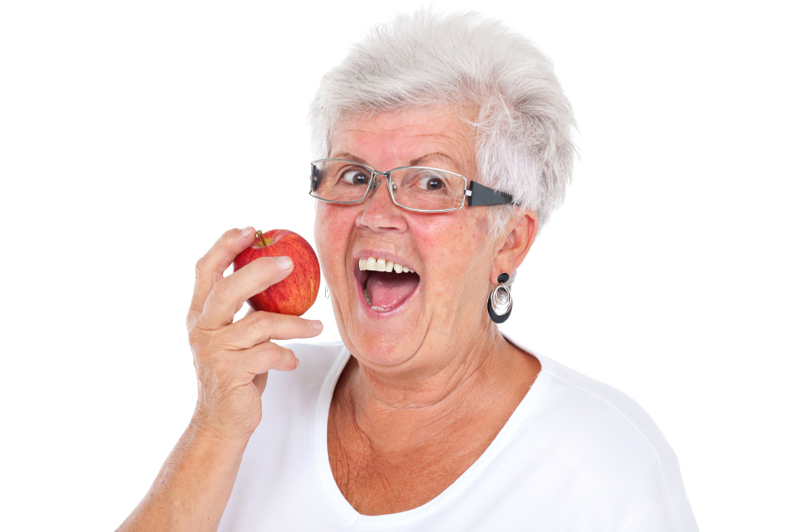 Dentures were designed to be a relatively comfortable, natural-looking way to replace missing teeth. If yours are anything less than that, we want you to know you can walk into our office for denture repair or replacement in Rockledge, Florida anytime. Keep reading to learn more — we’re waiting for you to drop by! All of these excellent, vital denture repair services are offered at Premiere Dental — and you don’t ever have to worry about making an appointment to get better-fitting dentures. How many dental offices can say that? No matter how good your oral health, your mouth will gradually change shape over time with non-implant supported dentures — especially after dramatic weight loss or gain. That’s why a refitting of the denture is necessary approximately every seven years. Denture relining involves shaving down the denture base and then repairing it with plastic, and can be performed in a walk-in visit to Premiere Dental. If an accident left you with a broken tooth (or teeth) in your denture, you’ve got to get it repaired. When you walk into Premiere Dental, we’ll gladly fix it and send you on your way with an excellent-fitting, strong denture. But if your denture is beyond repair, we’ll set you up with a replacement denture. If you have a partial denture that replaces a few missing teeth, chances are you may lose some surrounding natural teeth as time goes on. When this happens, just make one brief walk-in visit to our office and we can quickly add a replacement tooth to your partial to meet your changing dental needs. If you’re experiencing problems with your dentures or partials, come to our Rockledge walk-in and urgent dental office, which is conveniently located for neighbors in Cocoa, Satellite Beach, Merritt Island, Viera, Suntree, Melbourne, and Palm Bay, Florida. We maintain hours that make it easy for you to come see us on your own schedule — call us today if you have any questions about our excellent services!